This large necklace has a pendant of hammered brass that has been antiqued and sealed to prevent tarnish. 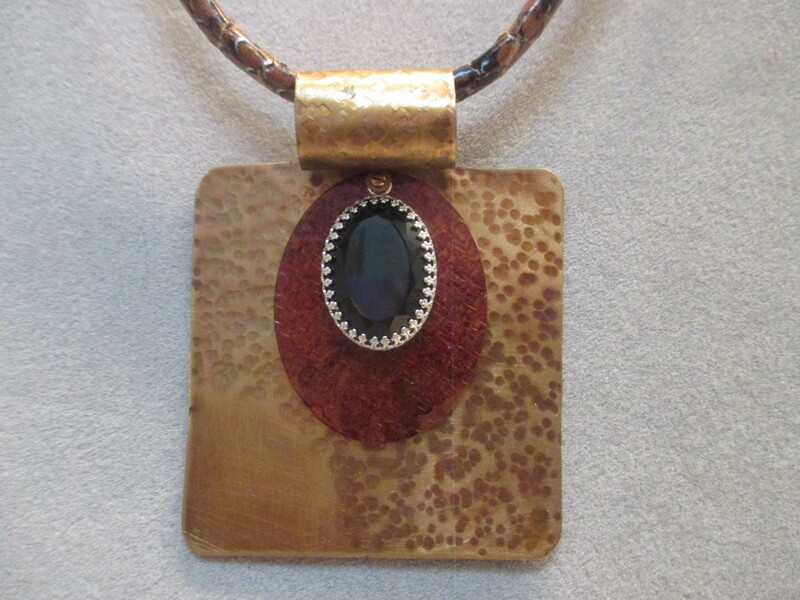 An oval copper piece is attached that is colored with alcohol ink and sealed to preserve the color. The beautiful faceted 25x18 mm oval Black Onyx is bezel set in sterling silver. The pendant measures about 3 1/4" x 2 1/2". The snake print cord in colors of black, rust and silver go perfectly with the pendant. It has an antique brass magnetic clasp that is hammered in the same design as the pendant. It measures about 23" long.